Chandler Valley Hope is a drug and alcohol rehabilitation center situated in the suburban city of Chandler, just outside Phoenix, Arizona. The facility is a unit of the larger organization, known as Valley Hope Association, which has around 16 behavioral healthcare centers across 7 states. In Arizona, the only other facility they have is an outpatient treatment center in the neighboring city of Tempe. The facility in Chandler is a residential track that provides rehabilitation and therapeutic treatment to substance abuse victims. Their clients comprise adults aged 18 or above and accommodations are available for both male and female residents. All clients are provided with individualized treatment programs that are devised to better address their specific issues. The Chandler Valley Hope center is run by a qualified staff; 60% of whom are recovering alcoholics or drug addicts themselves. This enables them to better understand the sobriety struggles of the incoming residents, having gone through their own similar struggles. Consequently, they are in a better position to help clients. 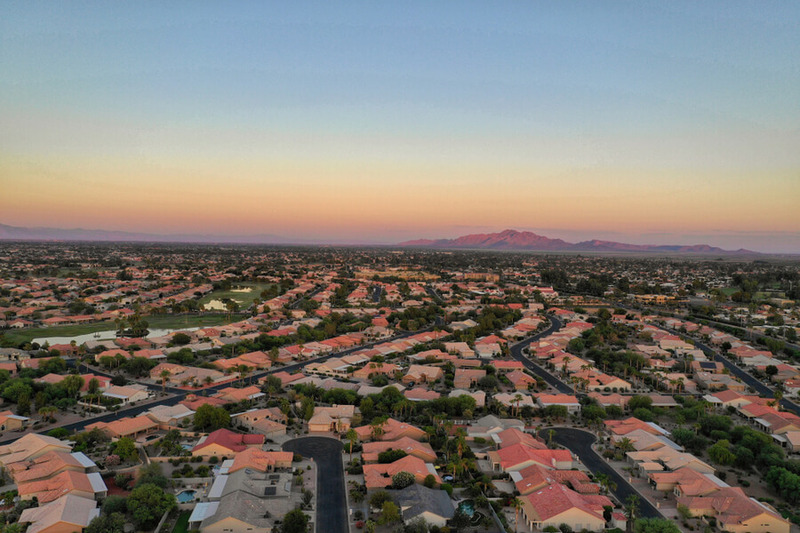 The facility at Chandler Valley Hope is located at a walking distance away from downtown Chandler. This makes it easily accessible to all the residents of the city. The residential quarters and other buildings where treatment is carried out have all the basic amenities and functioning security. Recreational opportunities in the form of a basketball and volleyball court, along with a TV room ensure that clients have entertainment once they are done with their therapies. The facility has a capacity of providing accommodation to 55 residents at a time. Male and female clients are housed separately and romantic relations between them during their stay are discouraged. Clients are housed in a dormitory style room with an en-suite bathroom, which they share with a fellow resident. Food is provided three times a day in a cafeteria style setting. The menu comprises healthy and basic options and the food is good enough that staff members take their meals, along with the residents. Clients are allowed to bring in their own snacks and non-alcoholic beverages to the dining area, which they may have purchased in one of their scheduled visits to stores outside the campus. Chandler Valley provides both inpatient and outpatient support to all incoming clients, which ensures that they can receive treatment in a setting that is most convenient to them. The inpatient program is suited to those in need of intensive therapy and closer supervision. It comprises about 40 hours worth of therapy every week. Clients in this program usually undergo treatment for an average duration, ranging between 17 and 30 days. The outpatient program, on the other hand, is more suited to those who have work or familial obligation they cannot forego. Outpatient treatment ensures that they can carry on with their work while undergoing rehabilitation. It usually lasts for a duration of six weeks and comprises of about three meetings every week that go on for three hours each. The Valley Hope facility at Chandler offers treatment programs that are especially geared towards a spiritual reorientation of attending clients. Throughout their stay, residents are expected to attend the sermons by the pastor, who is also the head of the facility. He is a well respected and established pastor who delivers speeches and sermons throughout the state. Furthermore, the facility has a good overall success rate and most alumni reviews about them are positive. This clearly indicates that the Chandler Valley Hope center is a good choice for anyone living close by and seeking a simple, no-frills yet genuinely good treatment and rehabilitation center. The staff at Chandler Valley Hope comprises recovering or rehabilitated substance abuse victims, along with nursing staff, doctors, and Counselors. On account of their own struggles with sobriety, they are specially equipped to deal with and help clients enrolled in the various treatment programs at the facility. Most alumni reviews of the facility speak highly of the overall services offered here and they tend to be particularly positive about the people working here. The staff members are uniformly praised for being diligent in providing care while nurturing and empowering the victims admitted to their care.